The talent was already deep at light heavyweight. 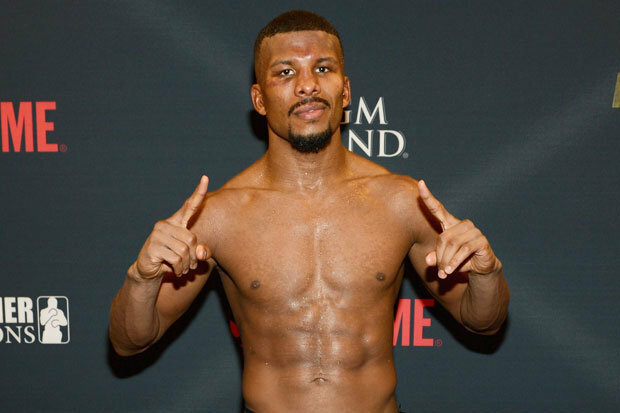 But on the Floyd Mayweather-Conor McGregor undercard Saturday night, Badou Jack made it clear that he was yet another name to reckon with at 175 pounds. In his division debut, the former 168-pound beltholder demolished tough contender Nathan Cleverly, flattening his nose and stopping him in Round 5. This is a big win. Cleverly was far from elite, but his resume was impressive. He has defeated a handful of contenders and his only two previous losses were against Sergey Kovalev and Andrzej Fonfara. Kovalev smashed him. Fonfara defeated him cleanly–albeit in a back-and-forth war. Jack defeated him with surprising ease. Cleverly announced his retirement following the loss–although just 30, the Welshman has always been a busy, wide-open fighter and has absorbed significant punishment. Jack has had an up-and-down career, in my estimation. He has looked terrific, as he did Saturday night and against Anthony Dirrell and George Groves. But he drew with Marco Antonio Periban, who isn’t exactly a world beater. Cagey journeyman Derek Edwards slipped Jack’s initial jab and caught him with a short left hand seconds into their February 2014 bout and Jack failed to make it out of the first round. Jack always looked big at super middleweight, so it is possible that a move up in weight is exactly what his body needs at 33. It can be argued that stopping Cleverly should place him inside the 175-pound top 5. Prior to this bout, Sullivan Barrera made it a point to call out the winner. This is a fight I would love to see–I am always a fan of seeing top-10 contenders face off. Since Jack held the WBC belt at 168 pounds, he would be a credible challenger for Adonis Stevenson, the retiring lineal champion who also holds the WBC belt.